I like to smoke. I really do. When people ask why I haven’t quit, I usually tell them it’s because I like it, the actual act of smoking. That’s why I’ve never been a big fan of vaporizers. A lot of vaporizers make big claims about providing a cleaner, more enjoyable, more refined smoking experience. But what they usually provide is some level of smoke-free smoking experience. Where’s the joy in that? So the first time I was introduced to Pax by Ploom, I wasn’t overwhelmed with anticipation to try the thing. But I read up on it and I got a little curious. So when Ploom offered to send me a unit to review awhile back, I accepted. The unit came with a bag of pipe tobacco. I read up on how to use the device. It was all pretty simple, really. It’s a handheld device that comes with its own charger (it holds a charge for 2 hours with continual use or about a week under typical use). To load it up, you open a flip lid at the bottom, stuff in some tobacco, use the lid to pack it in tight and then close it up. The mouthpiece is located at the top of the unit. To activate the internal furnace burning chamber, you click down on the mouthpiece and it pops up. An indicator light at the center of the device tells you when it’s ready to go. It only takes 45 seconds for the Ploom device to fire up. If you leave it idle, it shuts down by itself. So what about the actual smoking experience? It’s pretty sweet, man. You do get a cleaner, more concentrated, more flavor-rich smoking routine out of it. It’s more efficient/effective than a traditional pipe and less environmentally intrusive as a cigar or cigarette. The smoke you exhale dissipates quickly, but it’s still actual smoke (well, they say it’s vapor, but it feels like smoke to me). It’s not like an electronic cigarette that tastes like a smoke machine at a concert. It feels like real, actual tobacco smoke that’s just delivered in a unique way. You get the full effect with some added delivery convenience and less unfavorable byproduct after effects. The smoke seems to dissipate a bit more quickly than you would expect as well. 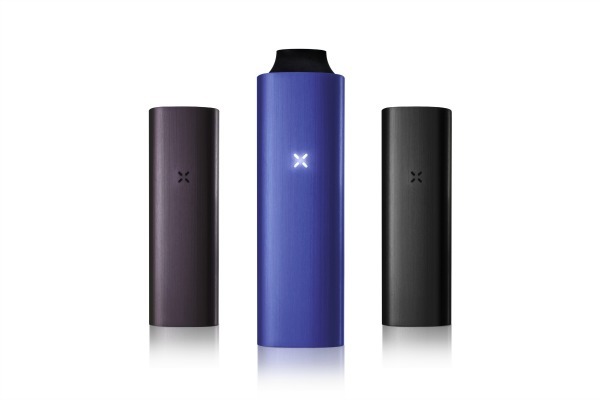 The Pax by Ploom device was designed by a couple of smart dudes from Stanford. COO and Co-Founder Adam Bowen has an MS in Product Design from Stanford and a BA in Physics from Pomona. CEO and Co-Founder James Monsees has an MFA in Product Design and a BA in Physics and Studio Art from Kenyon College. These two guys got together and made a great product. It’s definitely not cheap (retails for about $250), but it’s sophisticated, state-of-the-art way to get your smoke on in a clean, less-intrusive fashion. If you’re a smoking connoisseur, I recommend checking it out. Print article This entry was posted by Chris Stout on October 18, 2012 at 10:58 am, and is filed under Lifestyle. Follow any responses to this post through RSS 2.0. Both comments and pings are currently closed.